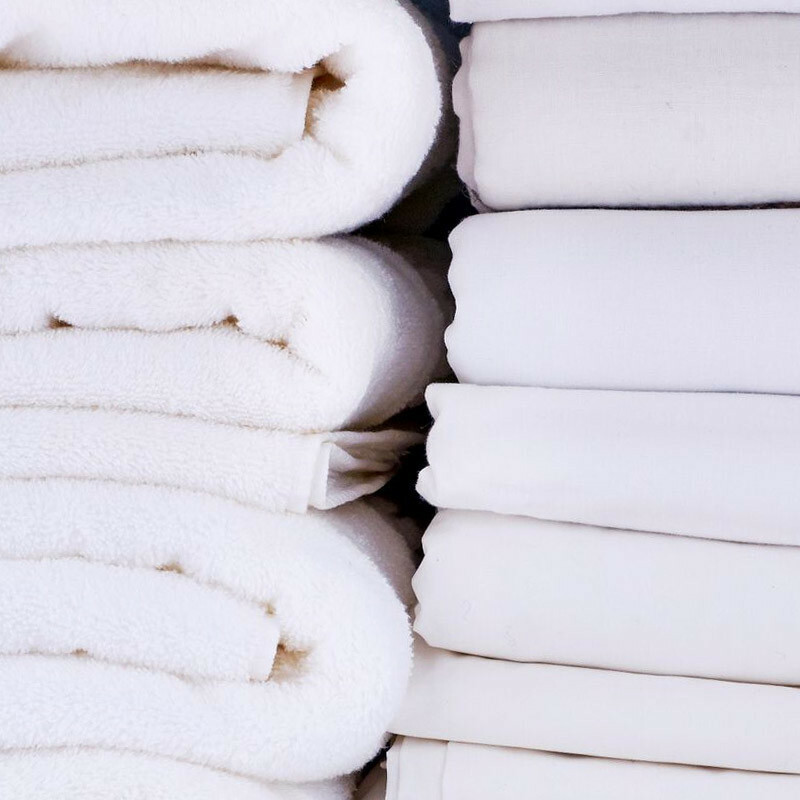 The first step in doing laundry is always to sort laundry items into groups: everyday laundry, sheets and towels, silks/delicates, woolens, and items that need to be drycleaned. Then, for best results and maximum color longevity, separate the piles by color. Washing like items together is the most efficient and effective—and of course the safest—way to clean and care for clothes, bedding, and more. Regardless of their fabric content, we recommend washing sheets and towels separately from everyday laundry, if possible. During washing, towels can transfer lint to your wardrobe, causing clothes to look spotted or faded. Note: Since towels require more drying time than most other laundry items, it’s more efficient to air-dry them or dry them separately so that you’re not running the dryer for longer than you need to. Also, you don’t want to over-dry the other items. Since sheets are larger than other items in a wash load, they tend to tangle and fold, causing smaller items to get trapped inside. Not only does this prevent the load from getting an even wash and dry, but smaller items can easily get lost in the tangle. The fitted sheet is one of the biggest culprits for sock-eating! It’s important to wash delicate items separately from everyday laundry as they require different care techniques. Note: Just because an item looks fragile or delicate, such as a thin linen blouse, it doesn’t mean it is. In fact, linen is one of the strongest materials out there. Yes, you can wash wool. In fact, it’s better for woolens to be washed rather than drycleaned. Be sure to wash woolens, items containing any percentage of wool, and any wool-like synthetics separately from everyday laundry. Absolutely! We love washing our woolens. 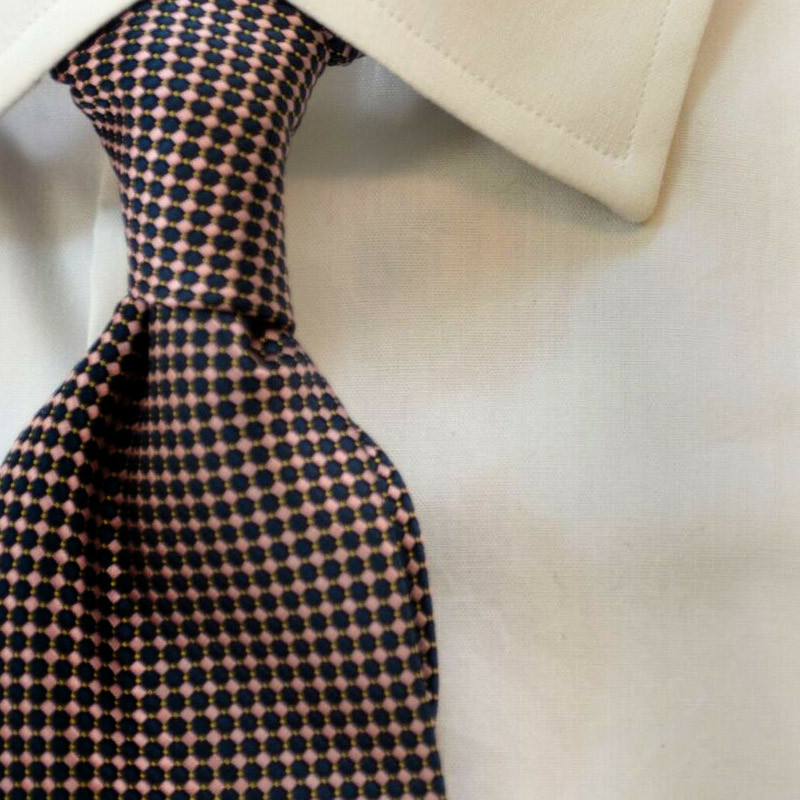 Not only does drycleaning wool often fail to remove odor or stains, it can leave yarns crushed and dull. 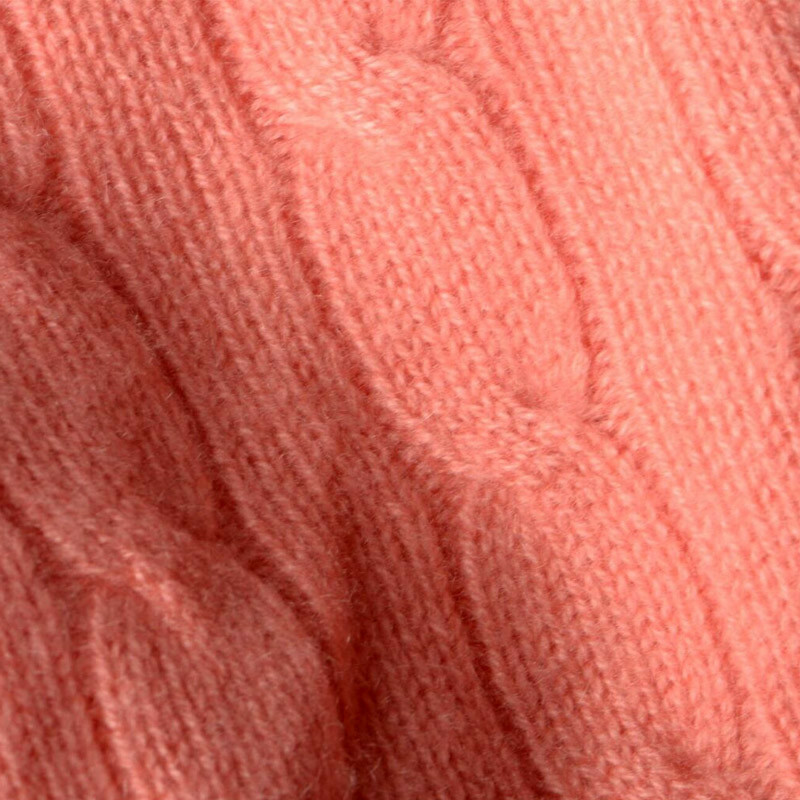 On the contrary, washing maintains and revives the natural oils (lanolin) in the yarns. Plus, washed wool feels and smells so much better than drycleaned wool! Many of our customers were hesitant at first. However, once they tried it, they were instant converts! Can I wash my items labeled “Dryclean” or “Dryclean Only”? 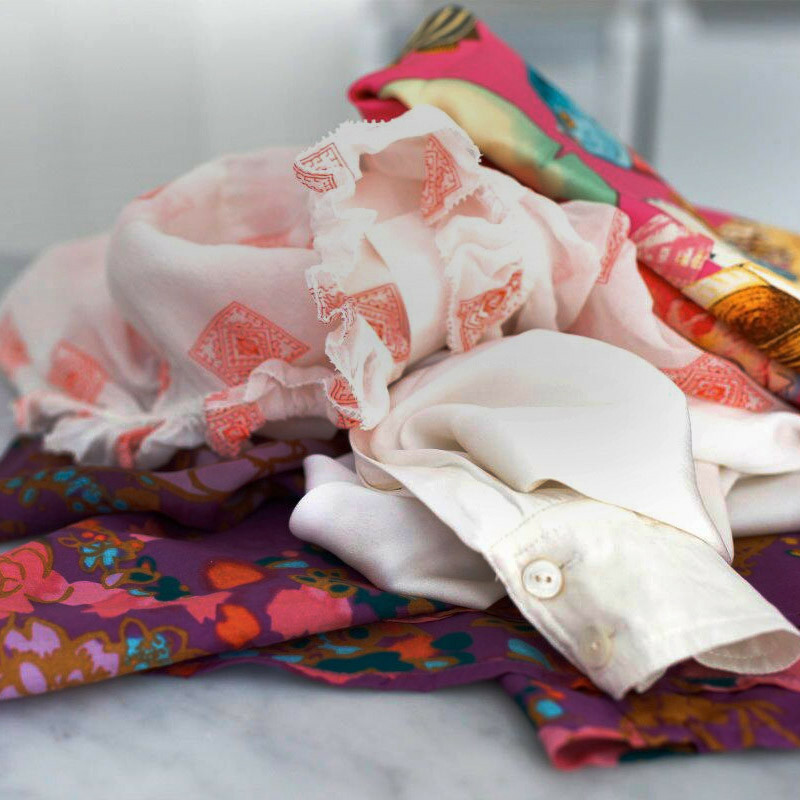 Many items labeled “Dryclean” can actually be washed, such as wool or silk. Simply look up the fabric on our site to find out if (and how) you can safely wash it. If the fabric cannot be washed or if you would prefer a professional cleaning or pressing, set the item aside to bring to the drycleaner. 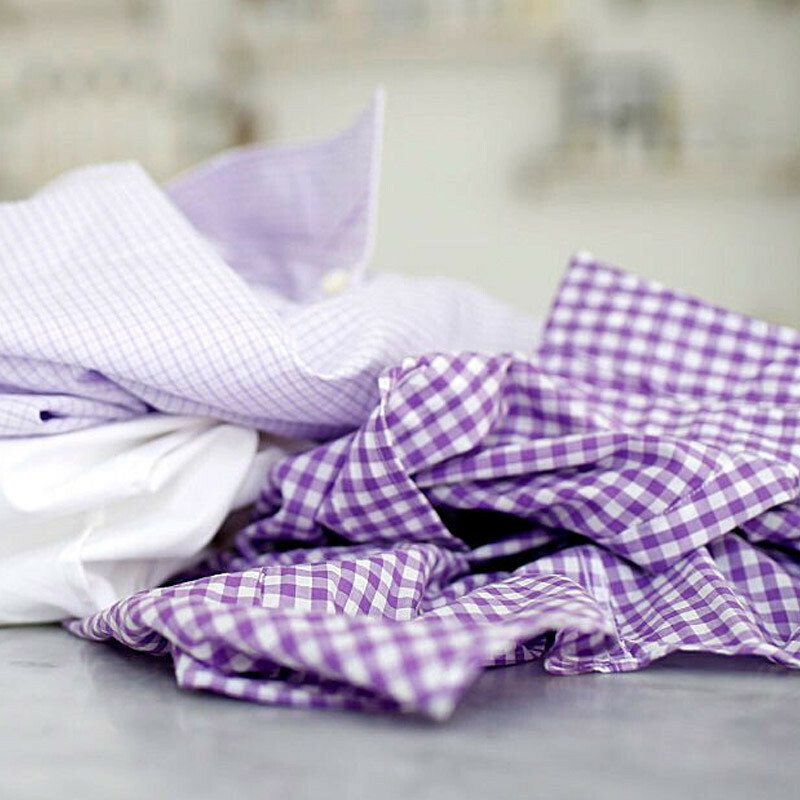 Most people send items to be drycleaned because they are wrinkled or because they no longer smell fresh. If the item isn’t actually dirty, you don’t need to take it to the drycleaner. Instead, save money and reduce cleaning wear on the item by freshening between cleanings. Freshen between wearing and washing with a Spritz of one of our Fabric Fresh Sprays or steam to remove odor causing bacteria and deodorize. Add Ironing Water to the water reservoir for a refined finish and added Classic scent. Once the laundry has been separated by type, separate each pile into three smaller piles: whites, darks, and colors. Wash each smaller pile separately. What about items with more than one color? Lots of items in a laundry basket are likely to have a pattern (stripes, plaids, polka dots, and/or florals) containing more than one color. Sort each item based on the color in the majority. If the colors are even, then take your pick of piles. Can I put an item containing some color in a whites load? As long as you’re confident the item won’t bleed, this is okay. For example, you can wash a red-and-white-striped shirt with a white load without turning all the other whites pink. For any questionable or brand new items, test to see if any of the colors run or bleed when wet. Can I put an item containing some white in a darks load? As long as you’re confident the item won’t bleed, this is okay. For example, you can put a black-and-white plaid skirt in with a darks load without graying the white areas of the skirt. For any questionable items, test first to see if any of the colors run or bleed when wet. When in doubt, wash the item alone. Items that are extremely bright, rich, or florescent are at risk for bleeding. One tip-off that an item may transfer color is when the words “garment dyed” appear on its label. This means that the fabric was dyed after being washed, cut, and sewn. 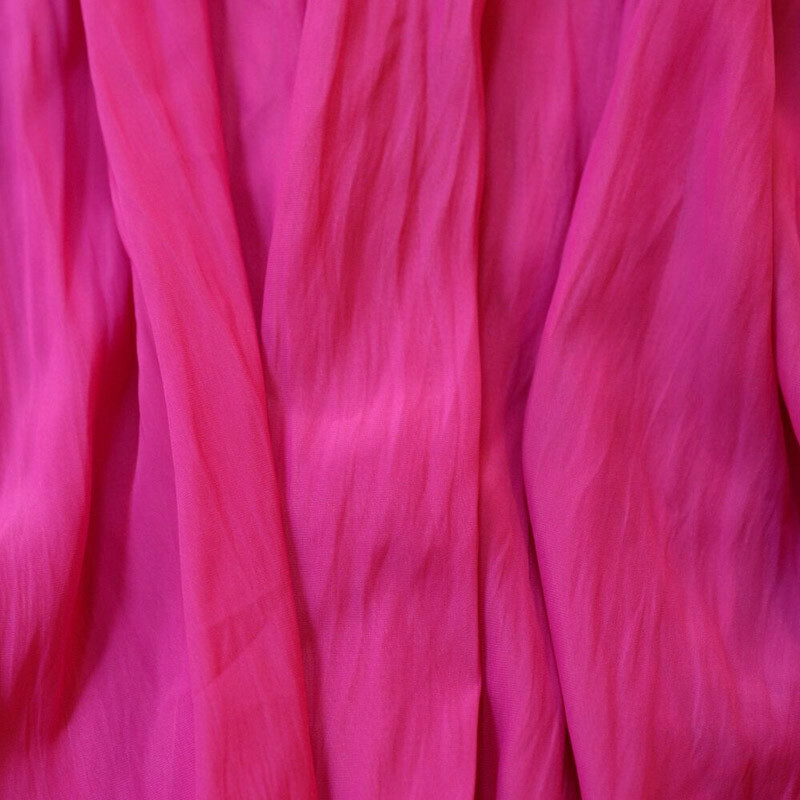 Garment dyed items are less likely to shrink but more likely to transfer dye. To be safe, first test these items or wash them alone to avoid damage from bleeding. If the item is one solid color, the sure way to know it will bleed is to wash it alone, by hand. For vibrant, patterned items, first test to see if any of the colors bleed when wet. If so, don’t wash it. Is it okay to mix my colors into a darks load? 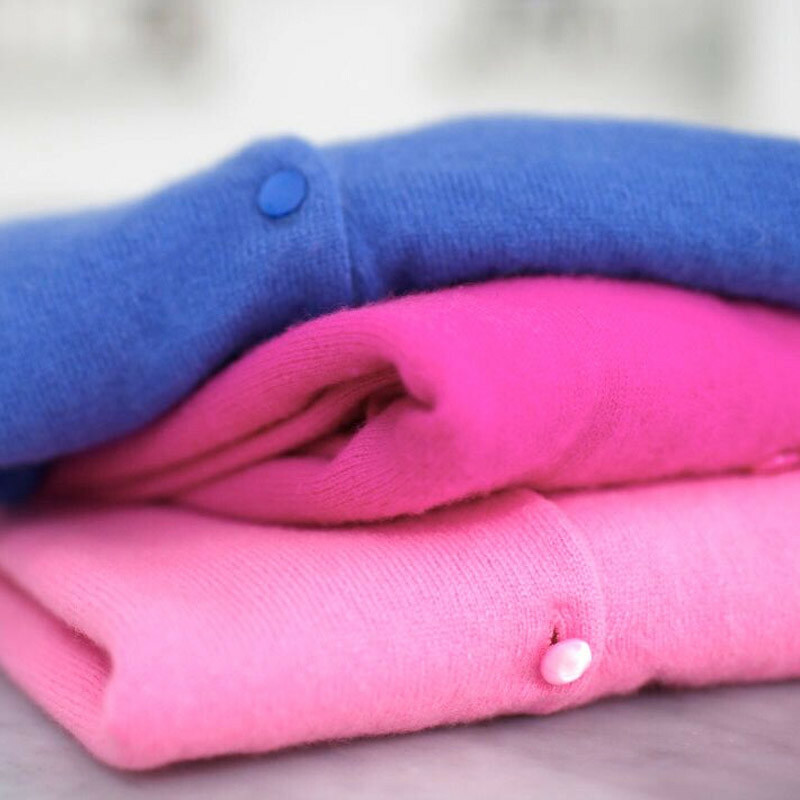 For best results, we recommend washing like colors together. Should I use color-safe laundry products? All products by The Laundress (including our All-Purpose Bleach Alternative) are formulated to be color-safe. However, this is not always the case for other laundry products or brands. If the item has never been washed before, the old saying comes into play: “It’s better to be safe than sorry.” Test new items or wash them alone to avoid damage from bleeding. Should I wash a new item before or after making alterations? Always wash new items before making alterations. This will allow for maximum shrinkage to take place before you tailor the item to size. To ensure maximum shrinkage for cotton, linen, and denim items, wash the item in hot water and then put it in the dryer. Then alter the item once it’s stable. Should I wash a new item before wearing it for the first time? Absolutely. Clothing is made with many different types of finishes that contain various manufacturing chemicals. Believe us when we tell you that you don’t want these coming into contact with your skin. Furthermore, most clothing items have been handled by many pairs of hands, transported by multiple vehicles, and passed through a range of environments. You’ll avoid germs, pests, and added toxins when you wash before wearing.